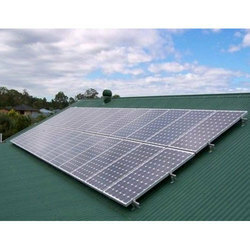 We are leading Manufacturers and suppliers of all kinds of Solar System Installation Services. With vast industrial expertise and affluent knowledge of this arena, we are readily instrumental in providing world class Solar Power Plant Installation Service. As per the detailed desires of our clients, these presented services are broadly cherished. In addition to this, these could be altered as per the varying desires of our clients. We take up I&C work to EPC contract for setting up solar power plants. 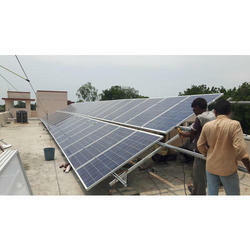 Owing to our expertise in this domain, we are providing Solar Installation Service to our honorable customers. We are rendering Solar Power Plant Installation Service to our patrons. Due to prompt completion, our offered service is extremely admired in the market. Our service meets on client’s demand. Moreover, we render this service as per patron’s demand. Pathak Power & Security Systems (P) Ltd.